"We recently stayed at The Escarpment for three nights. We arrived late in the evening so the warm fire and hot bath was very much appreciated! Waking up the next morning, we were greeted by numerous birds,lizards and a kangaroo peeking through the kitchen window.We were blown away by the location and can only imagine how lovely the back deck and BBQ area would be in the spring. The property was cozy and clean with large windows and a well equipped kitchen. The bathroom was modern and the spa bath ENORMOUS!The towns surrounding Halls Gap are quaint,fairly close and the drive between them breathtaking. We look forward to coming back and our only regret is that we didnt stay for longer!" " Thanks so much for having us, it was such a great weekend and the Escarpment really was a fantastic place to stay. We have been coming to Halls Gap for 5 years now, each time trying a different place to stay. The Escarpment has been put to the top of our list and we will be back for sure. You have really thought of everything to make the place fully equipped and comfortable. (Couldn't believe you even had baking goods!!)" "We loved the bush setting and the facilities provided at the house. In particular we loved the BBQ area. Everything was provided and we felt right at home. A great experience!" 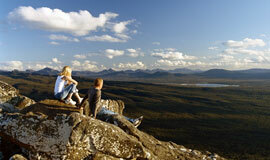 "My family and I had a fabulous time in the Escarpment @ the Grampians. Set in the midst of the forest, it is near to all the major attractions as well as the town centre. We will pleasantly surprised how well equipped and maintained the house was. Everything we need for a great holiday is there in the house including some wonderful music CDs - an example of the personal attention the owners give to their guests. 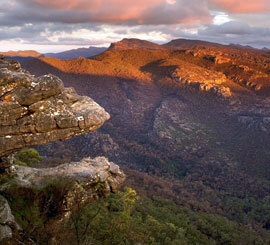 Definitely look forward to my next stay at the Escarpment@Grampians again! " "Our friends also thoroughly enjoyed the house and its quiet location amidst trees and birdcalls. We have stayed in quite a lot of holiday rentals, in Aust, NZ, France and Italy - the kitchen at The Escarpment was the best equipped we’ve seen in the southern hemisphere! Thank you for that - our friends are enthusiastic eaters and your well-equipped cupboards made it easy to satisfy them with minimal fuss. " 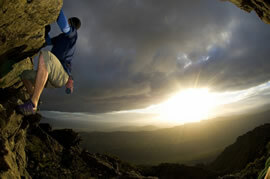 "We thoroughly enjoyed our stay at the Escarpment Halls Gap. A perfect location, with the town centre accessible on foot. The house provided a relaxing atmosphere, with kangaroos bounding across the backyard. Everything required for our short stay was provided, and the house layout was more than comfortable for 5 guests and a baby! The front balcony was a great spot to unwind. The toys in the lounge were a nice surprise for our 11 month old who was kept thoroughly entertained throughout our stay. Thanks, we had a lovely short holiday and we're looking forward to visiting again!" "With UK visitors we stayed at THE ESCARPMENT for two nights. A mistake. It should have been two weeks! THE ESCARPMENT is in a handy position in Halls Gap and is beautifully furnished with everything you could desire on a holiday. We have stayed in Halls Gap a number of times over the years (usually with overseas friends or relations) and have had "satisfactory" accommodation. However, in future,THE ESCARPMENT will be the only accommodation we will consider. We will return!" "The Escarpment is very cosy and comfortable cottage with the most magnificent outlook. Nothing beats sitting on the deck looking out through the gums trees to the mountain range across the way. Thanks for a very relaxing 5 days"
"Thanks to the Escarpment for our pleasant stay over the weekend. A perfect getaway from Melbourne to enjoy the peace and quiet of the Grampians. Lovely views and a easy walk into town. The kids loved it and we will certainly be coming back to stay again"
"Our time at the Escarpment was more then away from home it was like we could escape from the rest of the world with nature right outside our doorstep. The property had its own beautiful features such as the spa, and the peace and quiet with only the vocals from the friendly wilderness. We enjoyed our time spent at the Escarpment it was our home away from home." "Having our own place for rent in Blue Mountains we are always skeptical about "wonderful" places to stay. The nine nights we stayed in The Escarpment was the best holiday we had. The house was perfect, cosy, comfortable and with everything you need to enjoy a holiday. Did I mention super comfortable bed? " "We stayed for 3 nights at The Escarpment and had the most fantastic time. The house is absolutely beautiful and in stunning surroundings. We had family over with us from the UK so we wanted to make it special for them and they were blown away, they really didn't want to leave. Thank you for a wonderful long weekend...we'll definitely be back!"